During our visit to Varanasi, the most ancient and most historical and spiritual city in the world, we wanted to visit local SAC hostel. Shri Radhey Shaym Dwevedi ji , one of the sewa pramukh of VHP arranged our trip. 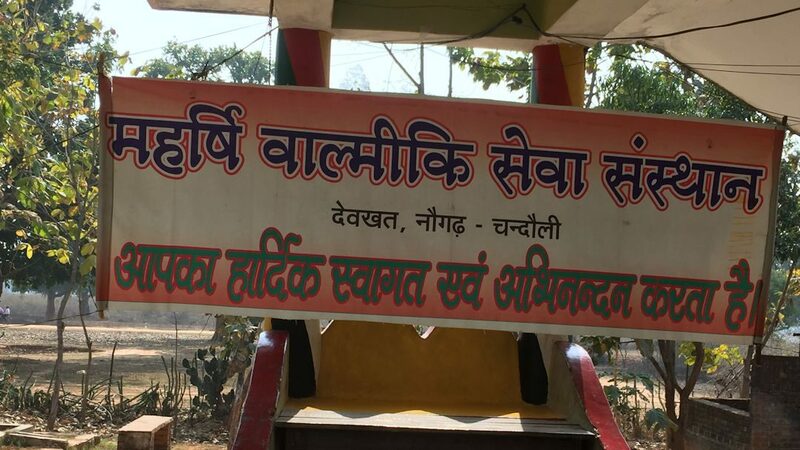 We drove about 80 KM to reach the SAC hostel (boys) Maharishi Vaalmiki Sewa sansthaan , Nougharh, Varanasi, UP. This small tribal town is at the border of Bihar and UP. It is a very beautiful place, surrounded by mountains. We had a grand welcome at the hostel. It was a sports day in the area. Boys were busy playing cricket, volleyball, Kho Kho and Kabaddi. This hostel houses about 70+ boys from 5 years to 16 years old. Many local non-resident students come to the school run at the facility. Many students walk as much as 10 km distance to attend the school. Most of these students come from the Tribal background. This hostel is built on large land, spread out, it has one Mandir, school’s classrooms, boarding rooms for residents and big kitchen facility. Students are well versed in music and art. We enjoyed bhajan sung and played by students. Shri Dwivedi ji showed us the registers maintained by SAC hostel. They have a full record of all students and keep a separate log for all the children supported by SAC USA program.